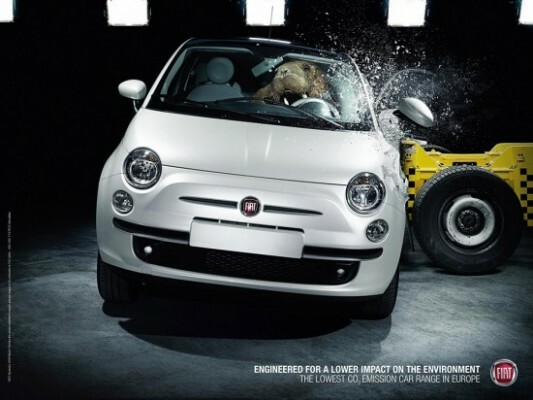 The new Fiat campaign aims to show us how little impact it has on the environment… by using endangered animals like crash test dummies. More than making me want to buy a Fiat , it makes me sad that a poor panda (the only word that even remotely rhymes with my name) has to encounter an airbag. 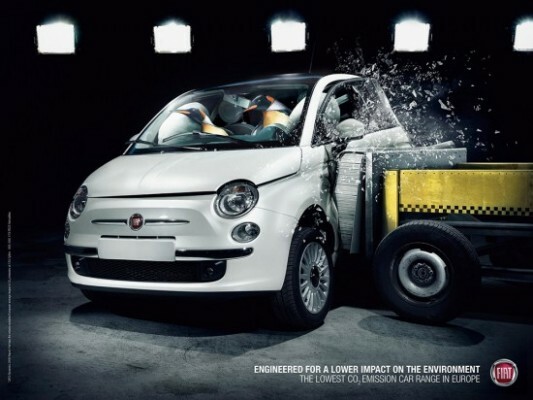 Some penguins and a walrus meet the same head on collision advertisements, and yes, I know its not real animals driving those cars but I love animals!!!!! Ok Ok, I am simmering down. I will give them creative credit for a clever twist on the ever popular “save our environment” cause. Rather than “going green” they use the endangered species route which has been put on the back burner advertisement wise since Al Gore scared the crap out of us. 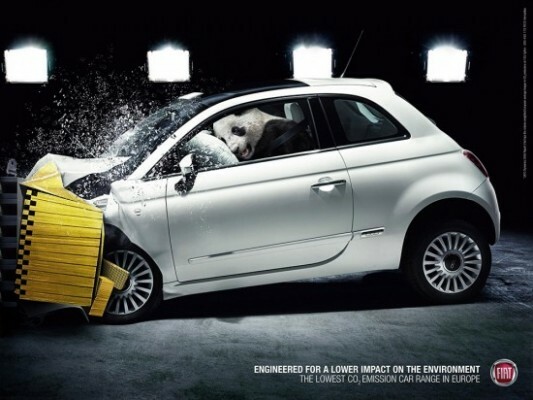 I still care about pandas so I guess I do care about the Fiat’s new campaign in a round about way.